In case the guide is no longer available online I've copied the relevent sections in the attached PDF file for your easy reference. 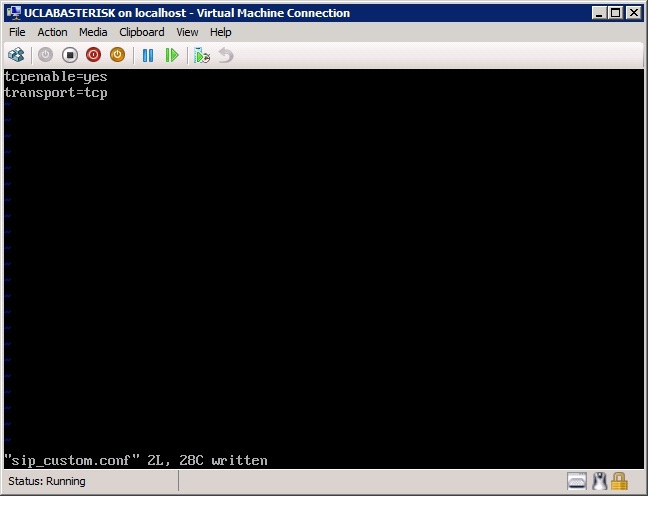 Next we will create 2 Asterisk users with extensions. 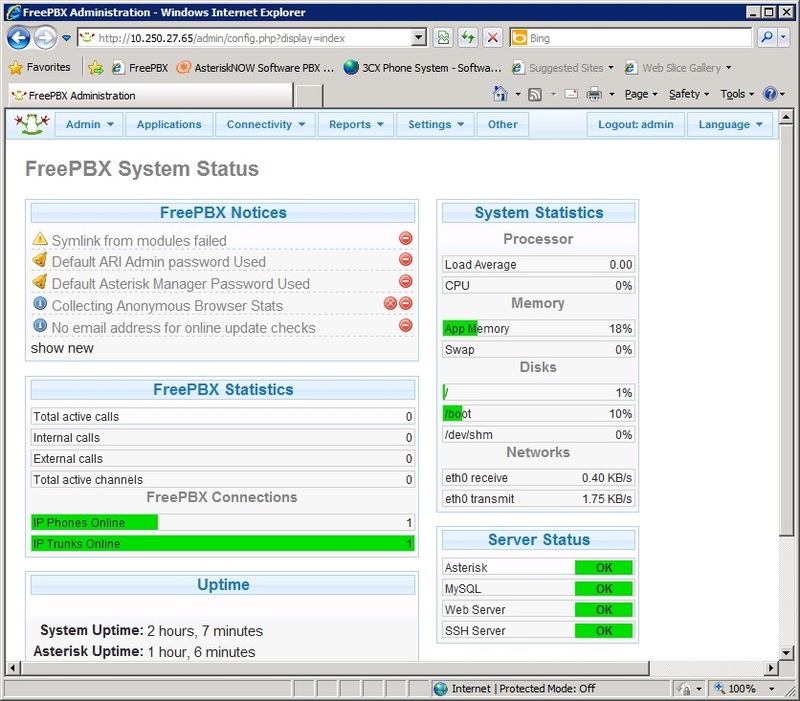 On the FreePBX Admin page click on Applications and then choose "Generic SIP Device" and click Submit. 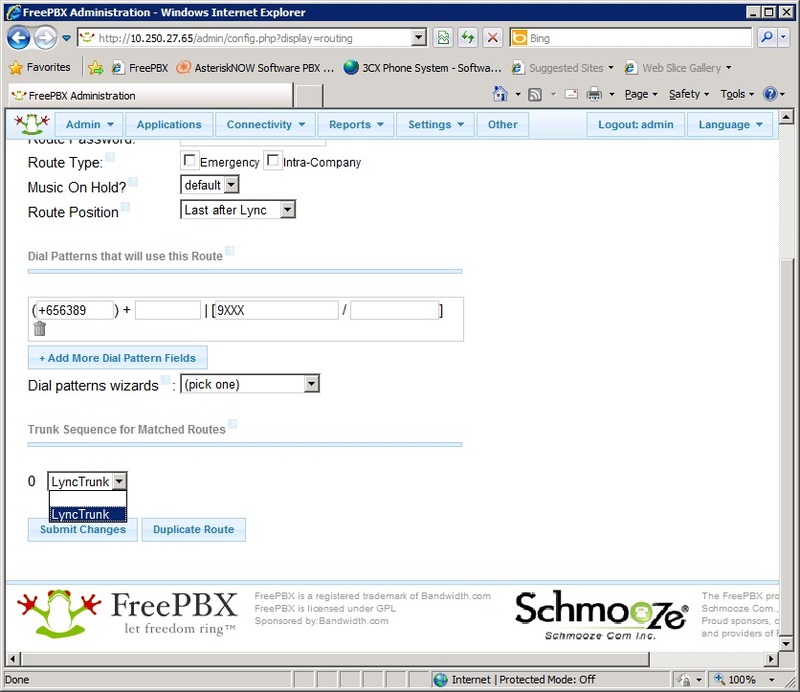 This will take you to the Add an Extension screen. 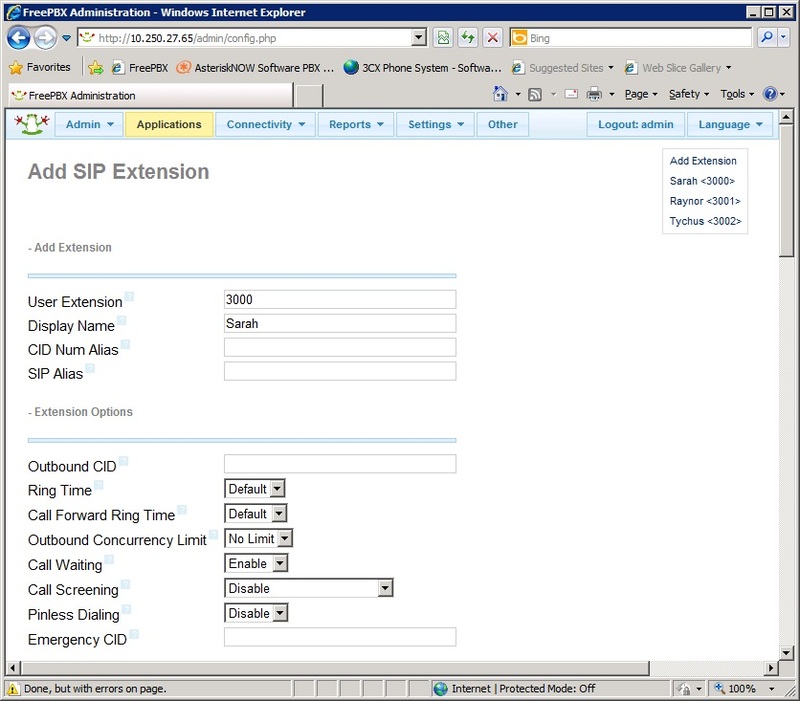 Assign a suitable extension number according to your dial plan. 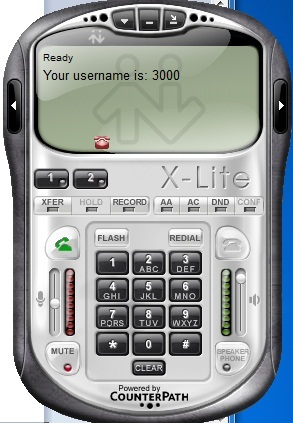 For my environment, I use 4-digit extensions for Lync covering 9xxx and Asterisk covering 3xxx. 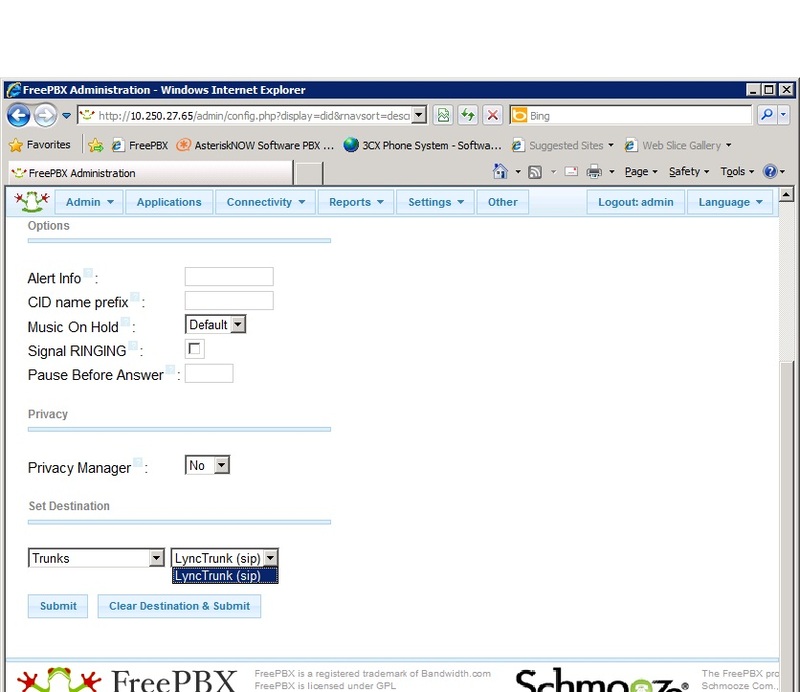 In this screen, I create a new user Sarah and assign her the extension 3000. In the secret field enter a password. The remaining field can be left as default and then click Submit. Following the steps above create another extension for another user. 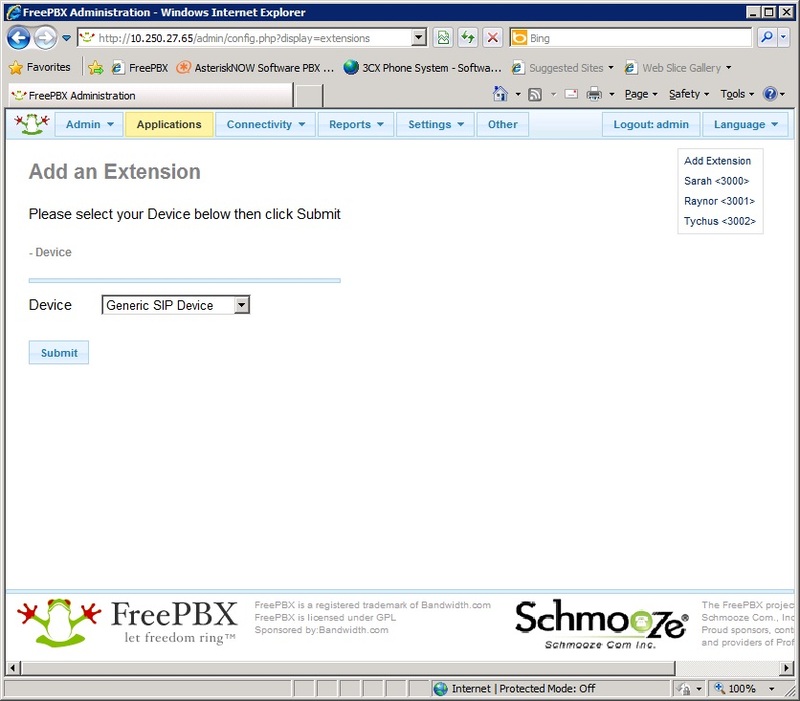 The extensions will appear in the top right of the screen. Click on one of the newly created users and scroll down to look at the Context field. 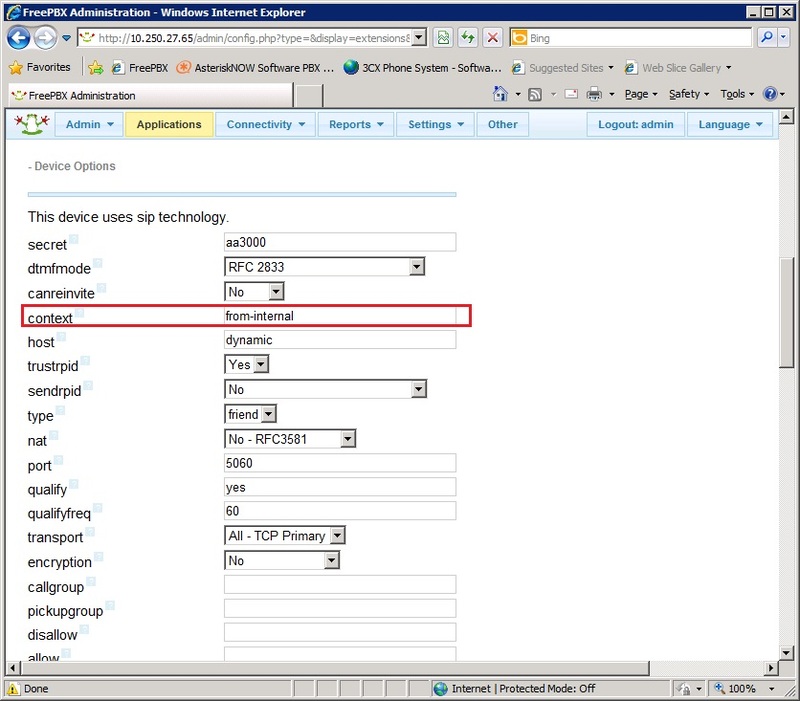 It should be "from-internal" as shown below and is created automatically by default. This field is important as we will use it in the trunk definition later. Lastly, make sure the User Context and USer Details fiels are left empty. 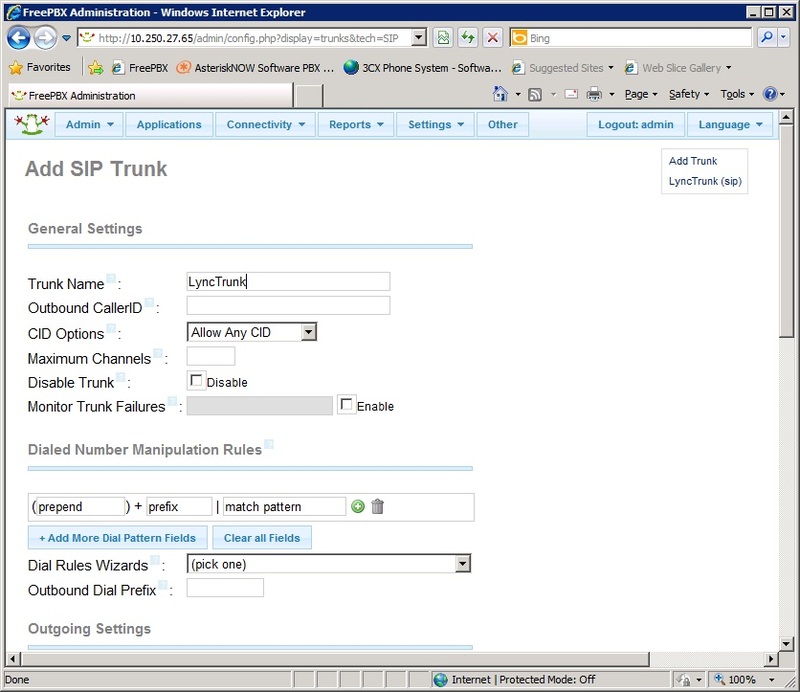 Click on Submit Changes to create the SIP Trunk. 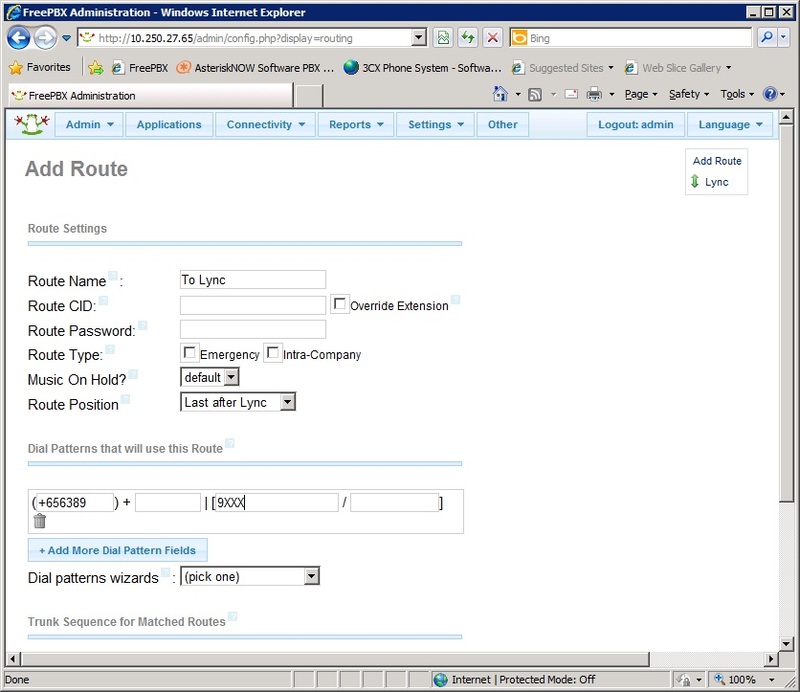 Next, create and Outbound Route by clicking Connectivity->Outbound Routes. In the Add Route page, enter a name for the route. 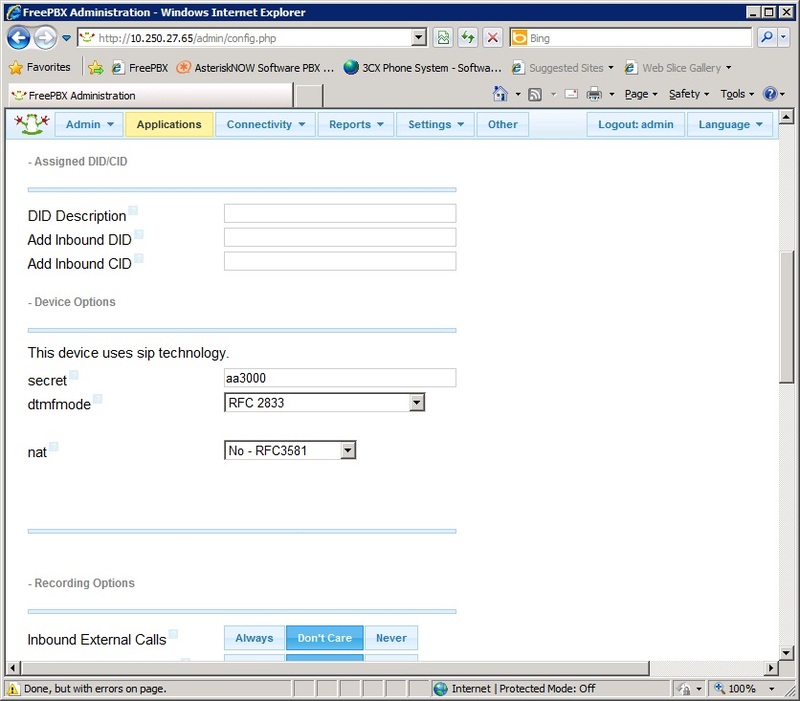 Then on the Dial Patterns, enter the Lync E.164 extension prefix in the box enclosed in (brackets). 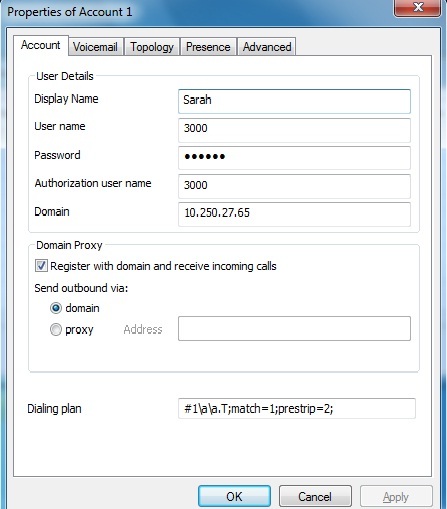 For example in my Lync server the TEL URIs are of the format +656389XXXX with 4-digit extensions beginning with 9 eg 9123 so the full TEL URI would be +6563899123. The extension prefix will be +656389 and this needs to be added in the box so that Aterisk will prepend this to the dailed 4-digit number when sending the call to Lync. Then in the Trunk Sequence section select from the dropdown box the Trunk created in Step 3. 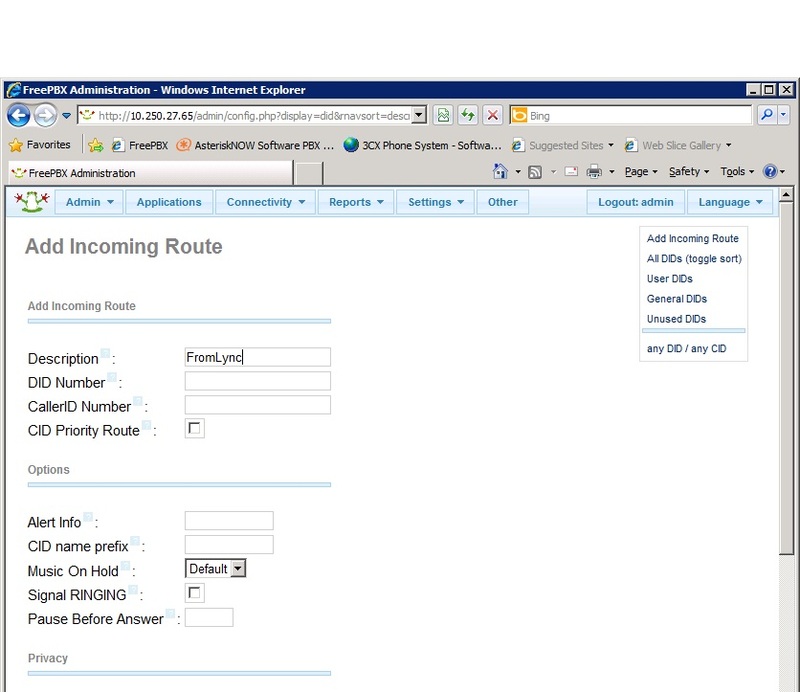 Click on Submit Changes to create the outbound route.